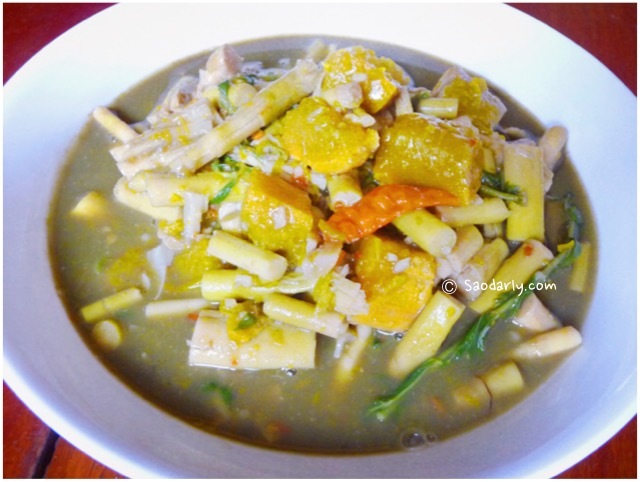 Lao Bamboo Shoot Soup (Kaeng Nor Mai; ແກງຫນໍ່ໄມ້) for lunch in Vientiane, Laos. My aunt made the bamboo shoot soup with pumpkin and plenty of Tiliacora triandra juice extract (Nam Ya Nang; ນ້ຳຢານາງ) to give that nice green curry look. 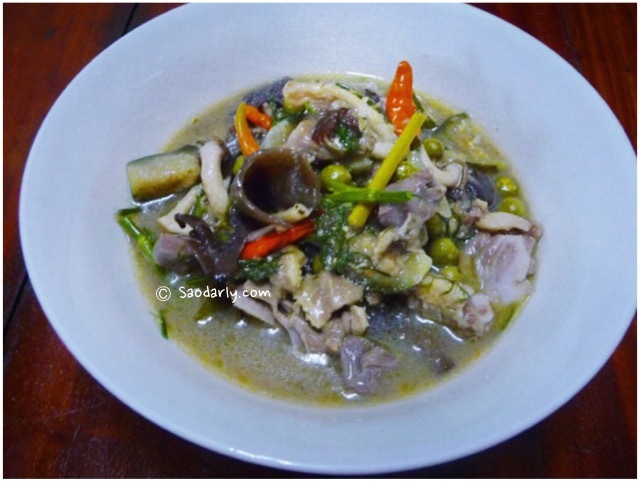 For a finishing touch, my aunt added Phak Kayang in the Bamboo Shoot Soup for that nice aroma and taste. For dinner, it was Lao Chicken Stew (Or Kai; ເອາະໄກ່). It was made with vegetables such as green eggplant, small pea aubergine, dried wood ear mushroom, green onion, dill, and top with chili peppers.